The multi-light RMS offers a customizable multi light mount solution for Radion XR30 and Radion XR15 lights. The multi-light RMS system features. Because the multi-light RMS is a modular system, choose the components that fit your needs. 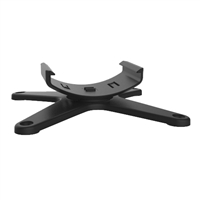 To build a mount you will need a set of arms, the right rail for your tank and the number and model of light mounts that fit your setup. Tanks come in a lot of shapes and sizes. To accommodate the vast majority of commercially available and custom aquariums the RMS multi-light rails start at 20.5 inches and increase in 10 inch increments to 90.5 inch. The multi-light RMS allows for adjustment of the rail with respect to the arms – meaning that even if your tank is not a common length – there is a rail length that will work for you. A single Multi-Light RMS setup can accommodate both XR15 and XR30 model Radions on the same rail. The RMS Hanging Kit provides yet more versatility to the already highly flexible RMS system. With the RMS hanging kit you can suspend a RMS track holding multiple slides and Radions over your aquarium. Ideal for situations where you would like to use the RMS slide and track system but do not have the ability to use the arms. Kit includes brackets and hanging hardware. RMS track sold separately. Coral Glue from EcoTech Marine sets a new standard for ease of use, curing time, versatility and durability. This coral glue features superior intermolecular bonding that sets underwater. Glue corals and rocks upright, sideways or upside down. In addition to bonding, the glue actually provides a support structure, so don’t be shy with volume. TIR stands for Total Internal Reflection. EcoTech has engineered these lenses to capture more of the Radion LED light and direct it into your tank efficiently - making sure the light is going where your aquascape needs it most. EcoTech offers two different TIR lens options for the Radion. The standard 80-degree TIR lens comes equipped on generation 2 Radion XR30w and XR30w Pro models. Our wide-angle 120-degree TIR lens reduces PAR at depth, but increases the coverage area. Whether you own an original Radion that is equipped with a reflector, or simply want to switch from a standard lens to wide angle, you can find what you need in our parts store. EcoTech Marine's TIR lenses direct the maximum amount of light possible, enabling you to get the most out of your Radion LED lighting. From aquarium depth to coral spread, no two tanks are alike. With both original and wide-angle TIR lenses, you have the flexibility to customize your lighting to fit your reef’s unique needs. All Radions come stocked with our original 80-degree TIR lenses - and now, our 120-degree wide-angle lenses are available to update your lighting fixtures. Both lenses are backwards compatible, working with all Radion generations. Have a shallow tank that would benefit from spreading par over a wider area? Go wide angle. Deeper tank with corals near the bottom? Stick with the original 80 degree lenses. The 80 degree TIR lenses included with Radion Gen2 and Pro fixtures have been designed to provide optimal PAR for the majority of reef tanks. However, if you find that you are running your Radion fixture at less than 100% you may want to try the Wide Angle TIR lenses and unleash more of that potential with greater spread. Have an original Radion model and want to upgrade to the newest lenses? Have a current model Radion, but want to go with a wide angle lens? Not a problem! EcoTech has long committed to upgradability in its products. All Radion lights have been engineered so that you can swap out the old lenses and replace them with new EcoTech lenses - no special tools or expertise required. The most flexible way to hang your Radion lights. Radion LED lights come equipped with mounting eyelets, but for more flexibility, EcoTech offers two additional mounting solutions — premium hanging kits and rail kits. 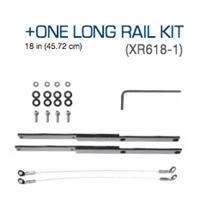 Because Rail Kits are modular and come in two lengths (16 in. and 18 in. ), many custom spacing and hanging arrangements can be created. This easy-to-install kit features rust- resistant hardware that attaches to your Radion’s mounting points so you can suspend the light above your tank. The kit also enables tool-free height adjustment. Sleek and lightweight, these aluminum and steel kits are modular and enable multiple Radions to be hung together. 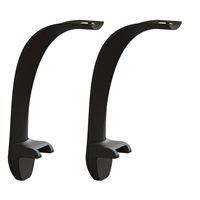 The minimalist design helps maintain the natural beauty of your aquarium. Two specialized kits designed for XR15 and XR30 model Radions. Each kit contains everything needed to tank mount a Radion light on almost any standard or rimless tank. Each kit contains multiple sliding rails and a rotatable x-bracket allowing you to easily position your Radion precisely where you need it. Fits the vast majority of commercially available standard and rimless tanks. A low profile, sleek design keeps your attention on your tank not on your tank mount. No drilling, no cutting and no holes in your wall or stand – have your light mounted in minutes. Sturdy metal and plastic construction will last the life of your tank. One size fits all only goes so far, different rail lengths are included to best fit your tank. Need to move your Radion forward or backward a little – no problem. Rotating X-brackets lets you orient your lights laterally or longitudinally. *Specific to XR15 or XR30 kit. 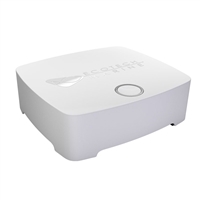 ReefLink provides completely wireless access to the world ofEcoSmart Live, the web-based aquarium command center from EcoTech Marine. ReefLink enables a continuous real-time connection with EcoTech equipment via ecosmartlive.com. 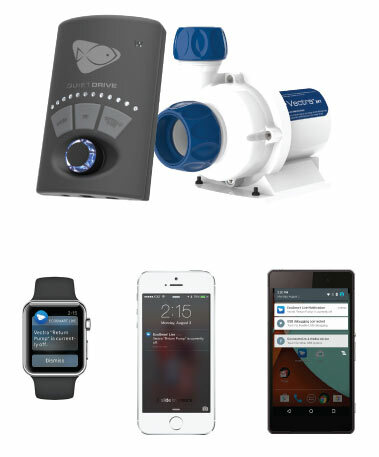 Control EcoTech reef aquarium equipment from your computer or tablet — anywhere, any time. ReefLink is easy to set up. Just place theReefLink anywhere within range of your WiFi router, and power it on. Then forget about it. No wires. No adapters. No worries. Enjoy the peace of mind that your reef and its inhabitants are cared for and safe. EcoSmart Live is a cloud-based app, so you can access it through a web browser on any computer or tablet with an Internet connection. And you can say goodbye to installing software or staying on top of updates — new features are installed automatically. But that’s just the start. All new equipment from EcoTech Marine will be integrated with EcoSmart Live out of the box — so your tank will always be future-proof. The award-winning Radion LED lighting systems and VorTech pumps get even better when paired with a ReefLink and EcoSmart Live. Now you have total remote access to your Radions and VorTechs no matter where you are — through a computer, iPad or iPhone, anywhere in the world. With ReefLink and EcoSmart Live, you can adjust your equipment in real-time or design custom schedules. Manipulate colors individually. Change light intensity. Adjust lunar phases, wave patterns and more by using predefined modes or creating your own – the choice is up to you. Introducing a coral propagation and frag kit for the reef enthusiast. All the tools you need, nothing you don’t. The Coral Propagation Kit provides everything you need to successfully divide and propagate hard and soft coral. The superior kit design and high quality materials are what you have come to expect from EcoTech Marine. Split your large colonies, share your frags with fellow hobbyists, or sell/trade them at your next frag swap. Without flow, fish and corals begin to die within 4 to 10 hours. Extreme weather can strike during any season, and we can’t always predict the outcome. In the event of a power outage, is your tank protected? 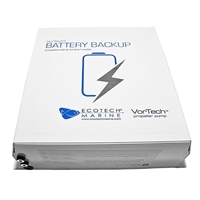 By adding the an EcoTech Marine Battery Backup, your tank’s flow will continue unaltered for up to 60 hours after the power goes out (30 hours for two pumps). Add a second battery backup to double the run time. Designed especially for nano-reef aquariums, the MP10w ES from EcoTech Marine is a small yet powerful pump. The MP10w ES is ideal for tanks from 2.5 to 50 gallons, creates gentle flows of 200 to 1,575 gallons per hour, helping the tanks feel more like the ocean. The MP10 ES uses award-winning technology to let you take full control of the flow. With all the electrical components outside the aquarium and a variety of easy-to-program modes on the EcoSmart Driver, the VorTech is the safest, most versatile pump on the market. Wireless capability enables coordination and enhanced functionality between multiple VorTech units right out of the box, with no extra equipment to buy, making it the most effective solution on the market. Pump runs continuously at a constant speed which can be set by the user. A two phase program to promote maximum health and nutrient export, as well as increased growth for corals. Alternates between a resonant standing wave and a surge effect to stir up and export nutrients. Creates a harmonic balance in your aquarium reminiscent of the changing flow conditions that would be found in nature. Flow varies from left to right, right to left, calm, and ends with a great surge. Reef Crest Random Mode simulates the high-energy conditions of a natural reef crest environment. Simulates the gentler reef zone found in a natural lagoon. Allows for wave pulse timings between 0.3 and two seconds, enabling the creation of FAST alternating flow throughout the tank. Use this mode to create a resonant standing wave. Allows for wave pulse timings of between two seconds and 60 seconds, enabling the creation of slow alternating flow throughout the tank. Slows down pump to allow user to feed aquarium. User can select the duration and speed for Feed Mode. Automatically reduce speed and operates continuously at that speed for a period of time during the night. User can select the duration and speed for Night Mode. When used with our battery backup accessory, the VorTech pump will switch to Battery Backup Mode in the event of a power outage and will operate at a user set speed. The LEDs on your EcoSmart driver will count down to indicate how much power is available within the battery. LEDs are turned off and display knob dimmed significantly, but pump functions in its current mode. User can program how long after use before the driver enters Auto-Dim. Tap the on/off switch to turn off and turn on a pump. Hold this button to turn off all pumps in a master/slave group. Tap any pump in the groups on/off switch and that pump will turn back on. ReefLink enables a continuous real-time connection with EcoTech equipment via. Control your VorTech pumps and Radion lights right through your Android, iPhone, or through your browser, anywhere, any time. EcoSmart Live is EcoTech Marines web-based aquarium command center. It allows you to control your VorTechpumps and Radion LED lighting from anywhere in the world through a computer or mobile device (iOS and Android supported). EcoSmart Live is loaded with features such as setup guides, flow and lighting wizards, specialty modes, and the ability to create new modes with just the click of a mouse or tap of a finger. Get real time information about your lighting and pumps or wirelessly update your products firmware. In an aquarium, having the right amount of flow is crucial to the health of the ecosystem. With VorTechQuietDrive choosing the correct water circulation equipment has never been easier. The VorTech is no less amazing today than when it first revolutionized the aquarium hobby. Three generations of pumps, over a decade of flow production, and tens of thousands of healthy aquariums are a testament to this uniquely designed power head. At the heart of the VorTech’s success is its unique, patented, magnetically coupled design. QuietDrive builds on the unique advantages of the VorTech’s magnetically coupled design and takes it to the next level. The revolutionary new drive system boasts increased efficiency and significantly reduced motor noise. First, VorTech took the pump motor out of the aquarium, now QuietDrive takes the noise out of the motor. Lagoonal Random Mode simulates a low-energy lagoon environment. The speed of the pump is changed slowly to recreate the gentle currents of a lagoon. Reef Crest Random Mode simulates a high-energy reef environment. The pump will change speed frequently and drastically to simulate crashing waves and surging tide. This is a favorite of SPS coral. Gyre Mode creates a flow pattern consisting of uniform clockwise and counterclockwise flow levels pulsing at a selected interval between two seconds and two hours. Short Pulse Mode creates a flow pattern consisting of uniform high and low flow levels pulsing at a selected interval between 0.2 seconds and two minutes. Tidal Swell Mode (TSM) creates a harmonic balance reminiscent of the changing flow conditions found in nature. Over the course of several hours, the flow pattern will go from very chaotic to calm, followed by a detritus-clearing surge at the very end of the cycle. The flow direction will change direction every cycle. Nutrient Transport Mode (NTM) creates circulation in a twophase program. The first phase uses wave motion to stir up detritus. The second phase follows with a surging motion to move the detritus into the overflow and out of the aquarium. This mode promotes maximum health, nutrient export and increased growth for sensitive corals such as SPS. At the touch of a button all VorTech wirelessly enabled pumps will temporarily pause their current mode and idle allowing food to be added to the tank without being cycled into the overflow and filtration. Pumps can be enabled to run a gentler night time program simulating calmer ocean conditions for night time hours. Create a standing wave in your aquarium and demonstrate the true power of the fully operational VorTech QuietDrive control system. 1) Requires multiple “W” VorTech pumps. 2) Requires ReefLink and internet connection. To compliment the all new QD driver the MP40 has been completely re-designed. The Vectra driver features EcoTech’s QuietDrive technology. EcoSmart Live is EcoTech Marine’s web-based aquarium command center. It allows you to control your Vectra pumps, VorTech pumps and Radion LED lighting from anywhere in the world through a computer or mobile device (iOS and Android supported). EcoSmart Live is loaded with features such as setup guides, flow and lighting wizards, specialty modes, and the ability to create new modes with just the click of a mouse or tap of a finger. Get real time information about your lighting and pumps or wirelessly update your product’s firmware. When used with the ReefLink, your Vectra pump can send you performance and status alerts right to your mobile device or computer. Your return pump is the heart of your aquarium; the faster you hear about an unexpected issue the more successful you will be as an aquarist.. The Radion XR15w Pro is a single-cluster light with 21 energy-efficient LEDs covering the full light spectrum. The XR15w Pro is compatible with the ReefLink and EcoSmart Live for complete lighting control out of the box. The Radion XR15w Pro comes with a variety of preset modes to simulate lighting conditions around the world. Create your own lighting modes by adjusting color intensities to achieve the optimal look and growth for your reef. The Radion XR15w Pro is fully compatible with the modular RMS (Radion Mounting System). Tank mount your XR15w Pro with the single tank mount kit or build a custom multi-light setup with the multi light mounting rail. The Radion XR15w Pro communicates wirelessly with other Radion lights and VorTech pumps through EcoSmart Live, the cloud-based aquarium command center that gives you control over your aquarium any time, anywhere. The Radion XR30w G3 offers 38 high-efficiency LEDs and six channels of control, plus custom-designed TIR lenses and heat sink. With the addition of indigo/UV LEDs, the G3 provides more output and a wider spectrum than its predecessor. The Radion XR30w comes with a variety of preset modes to simulate existing lighting conditions around the world. Create your own lighting modes and combinations by adjusting color intensities to achieve the optimal look and growth for your reef. The Radion XR30 is fully compatible with the modular RMS (Radion Mounting System). Tank mount your fixture with a single tank mount kit or build a custom multi-light setup with the multi-light mounting rail. The Radion XR30w communicates wirelessly with other Radion lights and VorTech pumps through EcoSmart Live, the cloud-based aquarium command center that gives you control over your aquarium any time, anywhere. The Radion XR30w Pro LED lighting system expands on the technology found in the Radion XR30w. Six channels and 42 high-efficiency LEDs (including ultraviolet) represent the best in purpose-designed LED lighting. The XR30w Pro is ideal for reefers who want the highest PAR ratings, have a deep aquarium or want wide light spread with broad spectrum coverage. The Pro features the same upgrade modularity found in the Radion XR30w. The Radion XR30w Pro communicates wirelessly with other Radion lights and VorTech pumps through EcoSmart Live, the cloud-based aquarium command center that gives you control over your aquarium any time, anywhere. follow us to get additional amazing deals! Sign-up for our mailing list, newsletters, and exclusive deals! Copyright © 2013 Reef Cave. All Rights Reserved. Some icons made by Freepik from www.flaticon.com.